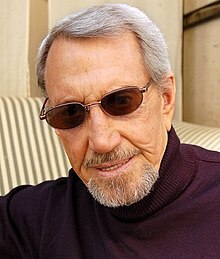 Roy Richard Scheider (November 10, 1932 – Februar 10, 2008) wis an American actor an amateur boxer. He gained fame for his leadin an supporting roles in several iconic films frae the 1970s, playin Police Chief Martin C. Brody in Jaws (1975) an Jaws 2 (1978), NYPD Detective Buddy "Cloudy" Russo in The French Connection (1971), NYPD Detective Buddy Manucci in The Seven Ups (1973), Doc in Marathon Man (1976), an choreografer an film director Joe Gideon in All That Jazz (1979). This page wis last eeditit on 6 Mey 2016, at 23:54.